Click the picture to see LARGER faces. Picture provided by Barb Gore McCleary. 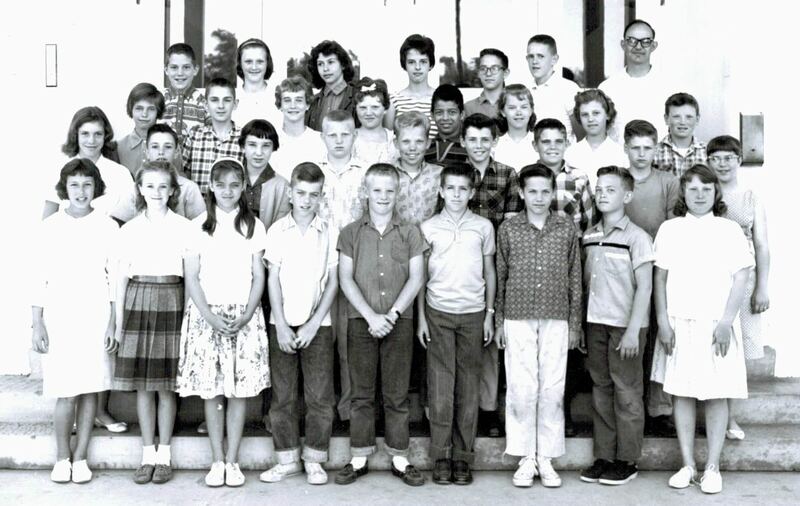 BACK ROW: 1.JonErlandson, 2.MaryJoyce, 3.LindaGoldsmith, 4.LindaSargent, 5.RobWilliams, 6.KennyWebb, 7.Mr.HenryYonce. THIRD ROW: 1.MyraWeihermiller, 2.LarrySmith, 3.BarbaraWoods, 4.MaryNorberg, 5.PaulPage, 6.MelanieDukes, 7.LindaMaxfield, 8.DaleAdkins. SECOND ROW: 1.SusanNelson, 2.StevenMiller, 3.PeggyNaegle, 4.RonWard, 5.ScottDenler, 6.DickPierce, 7.StevenOak, 8.DannySchell, 9.LindaWatts. FRONT ROW: 1.VickyGrubb, 2.BarbaraGore, 3.SusanStull, 4.______, 5.MikeMahaffey, 6.RandyBurns, 7.NormanEnglund, 8.DeanBergam, 9.MarciHenneman. E-mail the webmaster with row and # if you can fill in the blank.